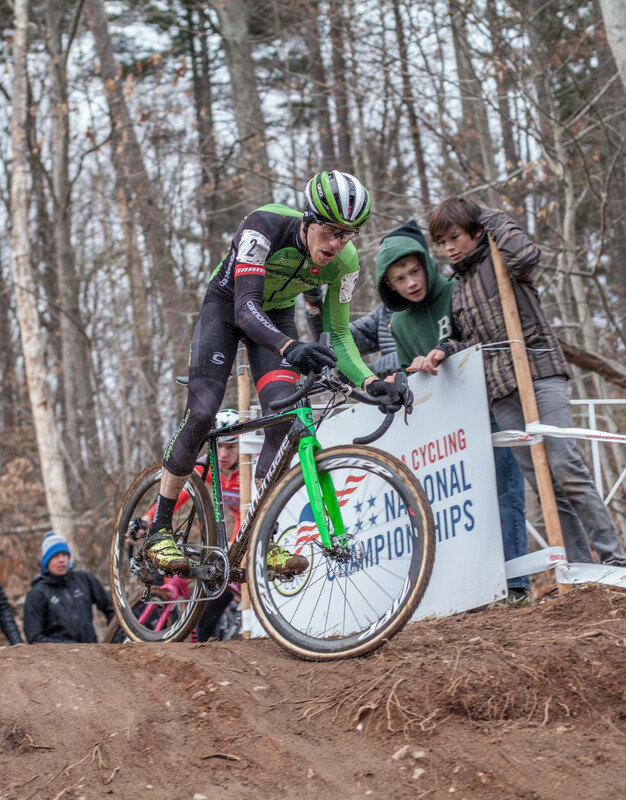 When I first saw Stephen Hyde race cross at Nittany CX my reaction was probably the same as most, “who is that kid!” Hyde took his place at the front of the race amongst talent like Todd Wells, Jacob Lasley and Adam Myerson to name a few, at times dictating the pace. Fast forward one week later and Hyde takes on Jonathan Page in a head to head battle at Charm City CX besting the veteran and at the time National Champion on day 2 of the event to win his first UCI race. Since then Stephen’s trajectory towards the top of the sport has been at lightning speed, this past season saw him on the podium weekly at the biggest event in the country including back to back victories at the UCI C1 events in Louisville, Kentucky. 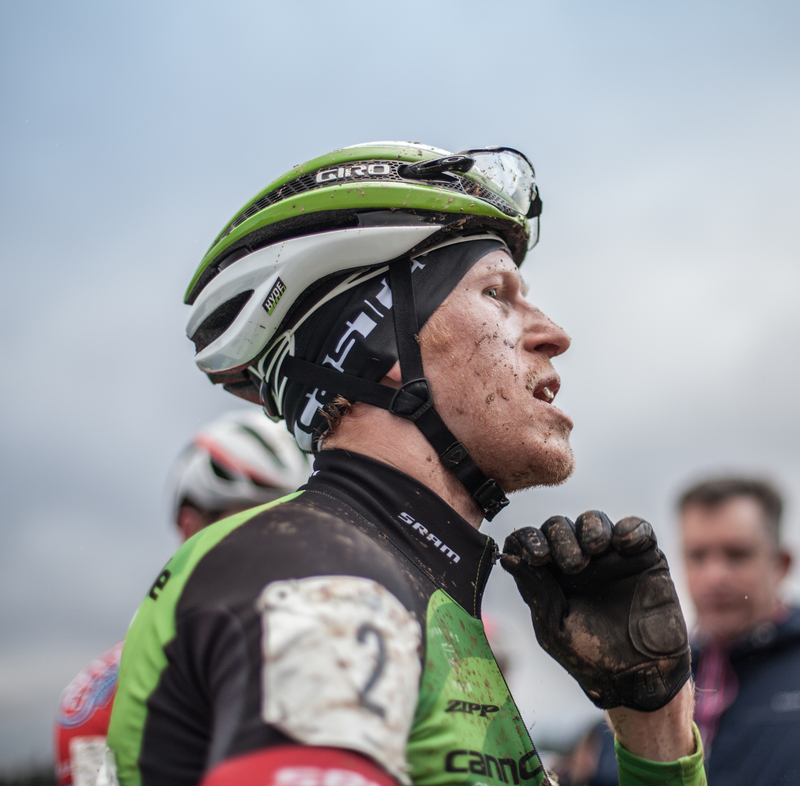 Stephen’s attitude is infectious and easy to see his love and dedication to the sport of cyclocross, I was able catch up with Stephen a few weeks after his season ended in Europe as he begins to refocus for the coming year. This season was a big one for you, new big team, new big schedule, more big European racing, how has life been adjusting to becoming a real pro? are there days you wake up and wonder if it’s really real? This season has been absolutely amazing! So, every year I’ve seen progress and every new season has brought its own challenges and opportunity to adapt. I would like to think that I’ve adapted well and made the most of this season. The team has been unreal. Stu and the crew are so PRO. It took me most of the season to just get used to letting things go. Trusting that these guys have my best interest in mind and that they can execute at any time when called upon or before the need ever arises has taken time. Ultimately, I have gained an un-yielding trust with these people. They know that I am there to do a job and do it the best that I can possibly do on the given day and they are there trying just as hard. You know, when I wake up all I can do is focus on the race. The same goes for when I’m headed to sleep. So the idea only sometimes creeps in. It’s when I walk into the lobby of the hotel or arrive at the venue that I am slapped with the reality that I am living my dream. I run into people whom I’ve never met and they know my name and are in awe of my accomplishments. When I am in Europe, in a place I have spent a total of four months of my twenty-nine years on this earth and people are asking me for cards or telling me how good my last race was. That’s when the unreal adventure becomes my real world. The truth is is that I am as much of a fan as anyone. I get star struck all the time. I want autographs fro Sven and Stybar! So, it always strikes me odd that someone would want mine. You came into Cannondale/Cyclocrossworld just as Tim Johnson was stepping away from the racing end of the sport, Those are some pretty big pedals to fill, but there you were lap 1 in Rochester going straight at Powers just like Timmy used to do, was there a lot of pressure from Stu to fill that role? I’ve been watching Tim race and have been such a fan-boy for so long. Haha. He is such a great guy and an incredible racer. To get the opportunity to “fill his shoes” is a daunting one. Believe me, it’s not something you want to be thinking about going into a race weekend. That’s a lot of pressure. But the reality is, there has been zero pressure from Stu and the team. They don’t want to “replace” Tim, that can’t be done. He isn’t replaceable. I have to be my own racer. I have to build my own future and legacy as me. As Stephen Hyde. Once I realized that things got easier. Really, a lot easier. When you think about trying to be someone else or how someone else would have done this thing or performed doing this thing, you can never race or be your best. To be very honest. I think my race at Rochester was a total failure. Not because I didn’t win. Although I feel I had the fitness to win. It was because I went in and tried to beat one person. I tried to let my ego drive my bike and It certainly did. I lost touch with what I was there to do. I was there to make progress and race the best race I could possible muster. Instead I played a fools hand. I could have let that keep happening and it would have made this season very different reality. I took my steps back. I didn’t want that to happen again. I needed to take control of me and not try to control anyone else around me. That’s all it took and I turned that potential disaster into a learning experience. I am much better off. To answer that question. I am thankful to see Tim move on and that the team thought I was the person to fill that spot on the roster. I am more thankful that they allow me to make mistakes and to be the best “me” I can possibly be. How’s having Tim and Trebon around, on top of bringing a lot of experience and knowledge they seem like they are pretty fun to hangout with. It’s been really interesting, actually. I’ve know both of them for a few years now and like any relationship I’m learning more and more about each of them as the year progresses. As riders they were both instrumental in getting me onto the team. It feels like they both have something invested in me. Like they each had an idea of my potential but the idea is coming from different angles. Tim is looking to replace himself on the team. He’s looking to fill a whole and maintain the status of the team. Where as Ryan is looking for someone to race with, some one on the same level as him in order to bring the level of racing back to where it should be. He wants some one to push him, I think. Both of them are great guys and very unique personalities. In my experience it pays to have diversity at your round table. With the way you rode this season and next year the possibility of two World Cup events being held here in the states will you and the team make racing a full World Cup campaign a priority? You know, that’s a very difficult dilemma. On one hand you would think that that’s the obvious focus. I have stated many times that my objective is to not only race well here domestically but also learn the skills it takes to race well enough in Europe. However, the schedule of World Cups and the rather large domestic schedule leave very little room for error or rest. I’m always one to air on the side of rest and preparedness rather than relying on race fitness and momentum. I would have to say that a full and complete WC schedule is out of the question for me. Honestly, I have come to the conclusion that we need to make domestic racing great again. We need to see the numbers of fans increase. We need more depth in our fields and more exciting racing. The energy has taken a huge down turn in the last few years. It’s hard as a ‘cross fan to see it though. We have this idea of this invincible and massive scene because we are so in love. The reality is that we have a scene that’s fading. So, my real dilemma is how do we make cross great in the US again? How do we make ‘cross the sport that it deserves to be? Is the answer for me to go to Europe more or is the answer for us all to make the racing here better? I’m not pretending to think that I singularly can have an effect like that but I am willing to do what it takes in unison with the other racers and teams. 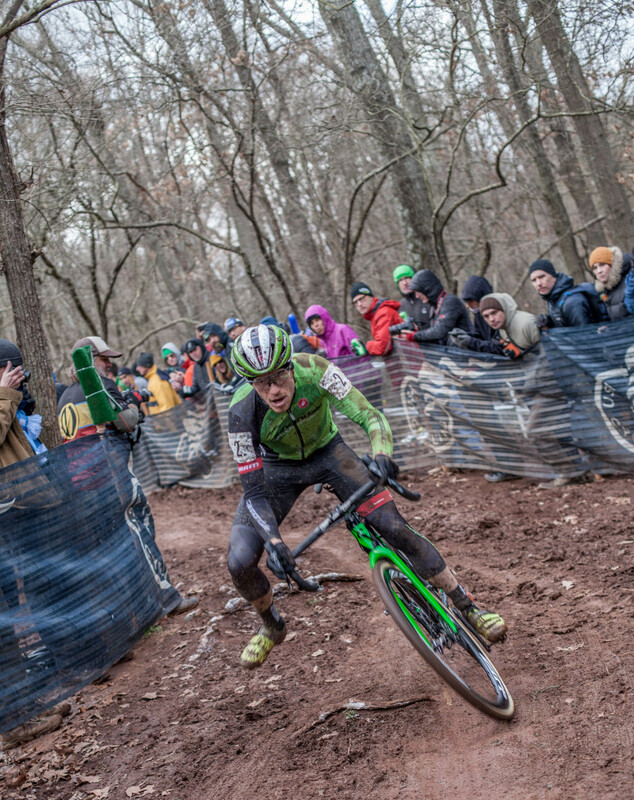 Now that you have established yourself as one of the best riders here in America will you continue to pursue racing on the road this coming year or are you full time Cannondale/Cyclocrossworld? I am racing for Cylance-Incycle P/B Cannondale for the upcoming road season, yes. It’s a great way to continue to build depth and progress as a racer. Racing is racing and until I feel like I cant get anymore out of it I will continue to race in my “off season”. Yourself, Anthony, Jeremy, Ellen, and now young guns like Scott Smith are all coming out of Western Mass. 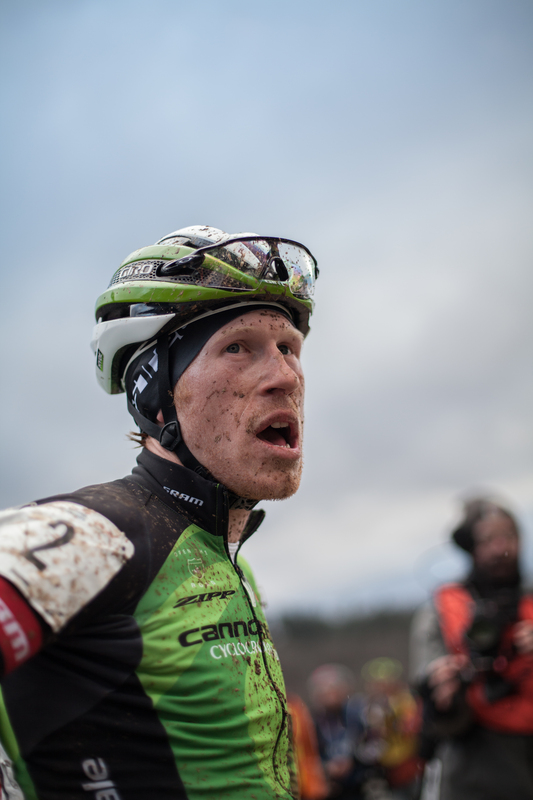 under the guidance of Alec Donahue and going straight to the top of the sport, is he the cyclocross Yoda? You spent a fair amount time on a BMX bike, were you a trail rider or a street kid? Yeah, I did. I’ve done a bit of everything. I started riding street and trails. That led into a few years of racing when I was 13 years old. Then back to trails and park. I found my self drifting from the dirt and staying mostly on the streets and park. There was a decent outdoor park in Pensacola for a long time that was my second home for a lot of years. I still have a BMX actually. I got one of the Eastern completes out of QBP a few years back and pick it up like once a year. It’s mostly there for riding Al’s pump track and shredding parking lots with Scott Smith. Unfortunately, I cant really get on it that often anymore. It takes a lot of upper body to ride like I used to and man, do I feel terrible after an afternoon shred-sesh! Who was your favorite BMX pro to watch ride? I used to love all the dirt jumping guys growing up. I had so many posters of all these dudes doing huge extended super mans and can-cans. I found that I really enjoyed watching riders who got more into moving the bike than doing big tricks. It seemed like anyone could get to a foam pit and try tails whips or flips and go bang them out in competition. Making the bike look and feel like an extension of the human body became my true love. I could watch Mike Aitken or any of the Texas trail kids go like Chase Hawk ride a park or just a curb all day. I found more fun in throwing my bike around than pushing my self to defy the fear of not landing tricks. Do you think BMX influences the way you see a ‘cross course? Like when you approach a technical drop or off-camber section, does your brain say “hey this is no 50-50 down a hand rail! piece of cake!” ? BMX has influenced everything that I do. Not just the way I see a cross course or an MTB course. But the way I see the world. One of the things like you see a lot of the real deal MTB pros doing is hand-eye coordination drills. When you are doing some nasty descent or rock garden you are constantly scanning the area in front and letting your unconscious take control over the bike. Riding street and trails for so long has ingrained in me the ability to be constantly surveying and taking account of my environment. When you drive to a grocery store or business at some strip mall, what do you see? A parking lot for cars, an over hang for people to walk under and a bunch of businesses. Well, I saw the stairs with a clean run at them on the side of the building. I see clean asphalt surface with transitioned curbs that beg to be ridden or maybe I’m casing out the loading area to see if there’s a bank or ledge to be ridden and can we make use of any of the track to build some sort of makeshift ramp or landing. You just learn to take everything in and see it with a new light. How can you use a stump or find a line no one is taking because it’s not obvious enough? You spent a fair amount of time going to shows and obsessing about music, what’s on the pre-race playlist right now? I did, I spent a lot of my years going to shows and obsession over music. I still obsess over a lot of music. Although my time spent at shows has decreased to 0 I still keep collecting records and I’m always up for listening to something new. However, when it comes to music relating to my riding/racing I tend to separate the two. I don’t usually listen to music to warm up or to make time go by on long rides. In fact it’s the opposite for me. I like to focus on breath and heart rate. I like listening to what’s going on around me. I like to be aware of changes in my environment and somehow music draws me too deeply into the emotion of it. I can’t seem to focus on the rest of the world or what I’m doing. I have to let the music take me to where it wants to go and I need to be focused on my happenings. So, if you see me with headphones on at the races, chances are iI’m not even listening to anything. Haha. I’m probably just making my self look unavailable so I can focus on what’s going on. However, I listen to a lot of different music. I really don’t have a favorite genre. I also tend to go long periods of time listening to the same albums. I listen to A LOT of Elliott Smith. I have been listening to more and more Built to Spill. I have a pretty big country music selection. I am a huge Dwight Yoakam fan and can sing a long to probably (literally) any country song ever written. I am also a huge emo fan. Lots of JawBreaker. Even later stuff like Thursday and Thrice. As for now I have Pedro the Lion’s Control on full throttle. Haha, I’m sappy as hell. After big season like this I’m sure there are few folks you would like yell out to, have at it. This year has been incredible for me. I could retire now and be totally happy with my successes. Stu, Joe, Rawny, Mike, Chandler and all my teammates on Cyclocrossworld.com. Everyone at Cannondale bicycles that put so much trust in us to do our jobs and be good ambassadors for their brand. Al Donahue of course for always believing in me and for helping me become the person I want to be. Steve Blick over at Oakley for being the dude. Todd Christy of Chilmark coffee for being so supportive and keeping me buzzing on coffee all the time. There are a lot of people I thank in my mind or in my actions everyday. Some of them I don’t get to reach out to often enough and some I see maybe too much, but there’s an entire universe of people that support what I am doing and I couldn’t be more grateful to all of them.